- Product images shown are for illustrative purposes only and may vary from the actual product. - Decorations may change at any time without notice, mainly due to seasonal issues. 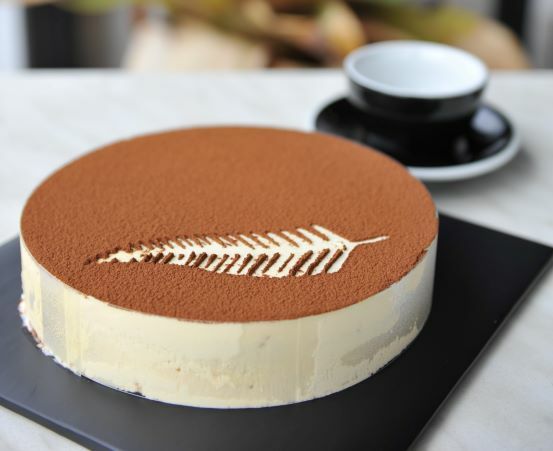 Great combination of baked cheese cake and tiramisu on white sponge. Finished with blush pink chocolate sprayed. Hand crafted chocolate and glaze decoration with a flake of gold on top. 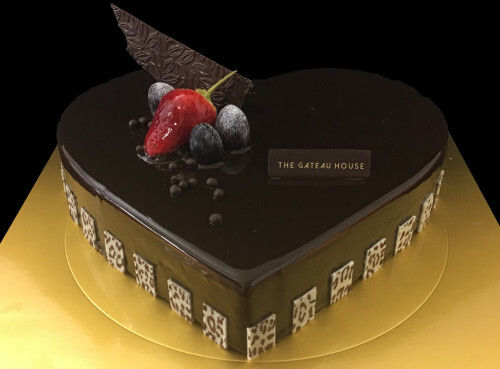 A silky smooth, rich three different chocolate mousses; dark , milk and white chocolate mousses are beautifully layered on a chocolate sponge base. 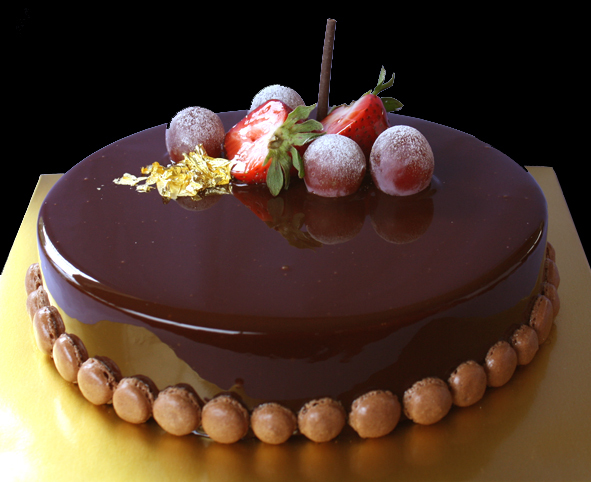 Decorated with shiny mirror glaze and chocolate decoration. 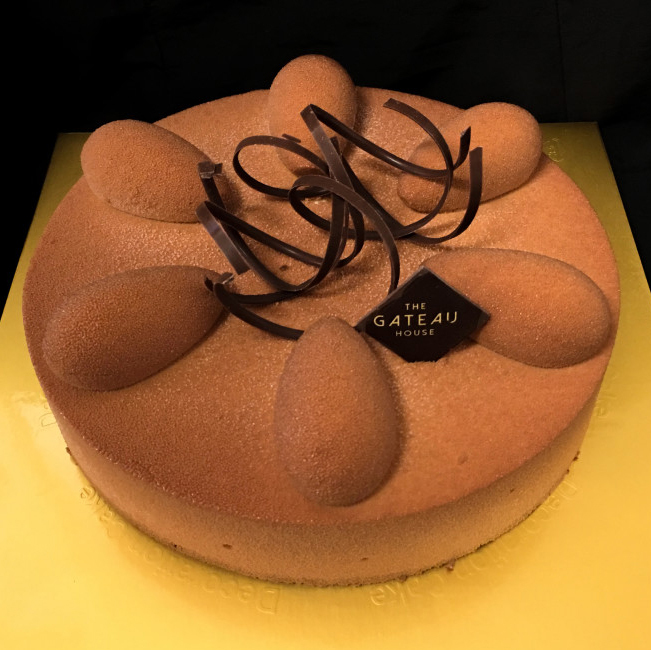 Fabulous combination of almond praline & chocolate mousse on a chocolate sponge. A layer of praline chocolate coated cereal gives munch texture. 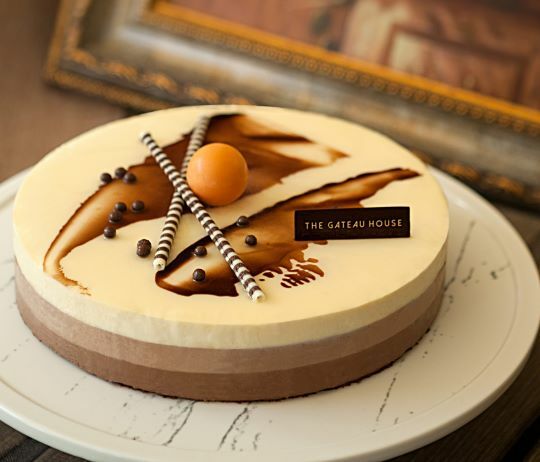 Decorated with milk chocolate Chantilly and hand crafted chocolate. 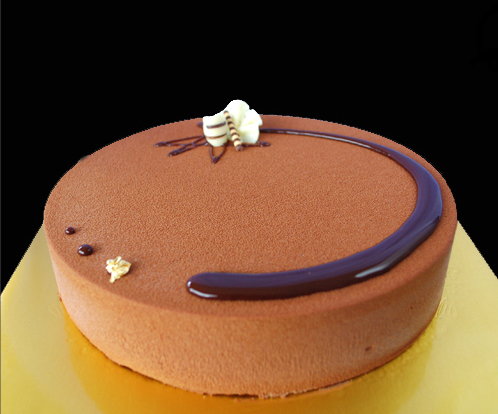 Rich chocolate mousse made with premium French chocolate coated with a superb glossy chocolate. 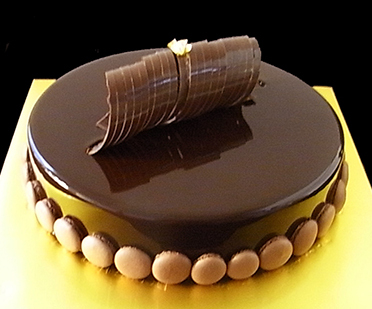 Decorated with hand crafted chocolates with a flake of gold sitting on the top of it. Rich chocolate mousse made with premium French chocolate coated with a superb glossy chocolate. 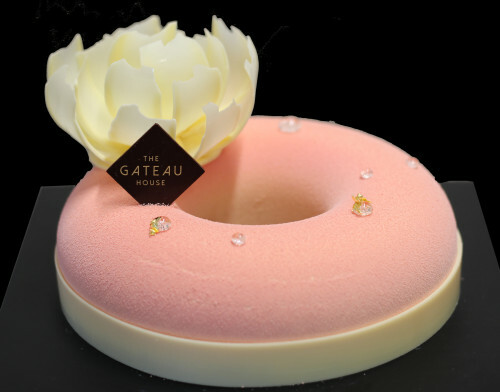 Decorated with macaron biscuits, fruits and a flake of gold sitting on the top of it. Rich chocolate mousse made with premium French chocolate coated with a superb glossy chocolate. 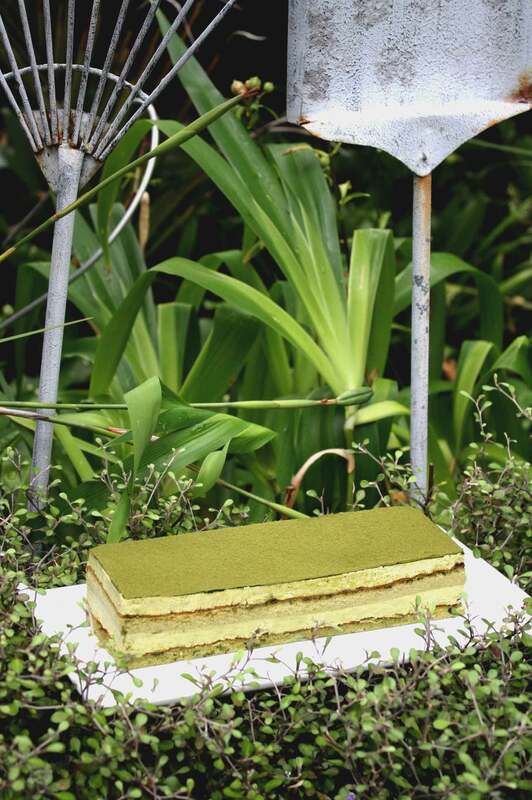 Decorated with macaron biscuits, hand crafted chocolates and a flake of gold sitting on the top of it. 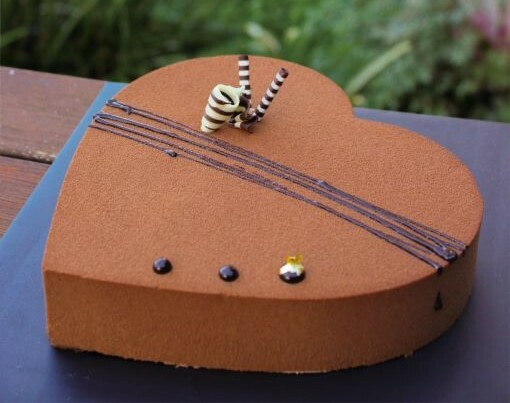 Rich chocolate mousse made with premium French chocolate covered by sprayed chocolates. Decorated with hand crafted chocolates and a flake of gold. 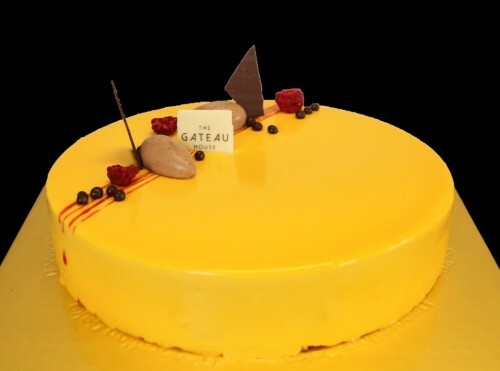 Beautifully layered inside with mango mousse, dacquoise and passionfruit jelly on the white sponge base. Decorated with shiny mango glaze, chocolate chantilly, raspberry glaze and hand crafted chocolates. An Italian style cream cheese cake made with cream cheese and crème anglaise. Flavoured with Irish Coffee liqueur. Topped with butter cream having a hint of rum and cocoa powder.